Don’t rotate your eyes off to it! Yeah, you even can’t dare if you deal in SEO. Got it??? If not, you’re supposed to be a little-outdated version of SEO. 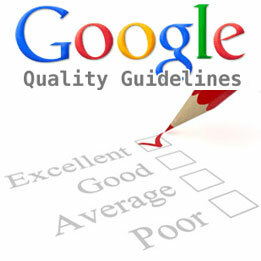 As Google update is consistently slashing down the poorly optimized websites obsessed of using techniques against its quality rating guidelines, yet again, the giant search engine showed its sympathy towards webmasters who want to improve their business’s performance online. The 5.0 version of this handbook was recently rephrased in March 2014 that encloses the valuable updated information about expertise, authority, trust and reputation when considering websites and their pages. Although the post was never posted by the Jennifer but it has claimed to be the latest version that has been rephrased from the ground up. As Jennifer herself has already said she doesn’t have the original copy of this new version she has better summarized the things in her blog. In her official blog, she’s mainly emphasized on the lack of EAT on which Google is constantly working through its update. The concept of E-A-T is the paucity of expertise, authoritativeness, and trustworthiness in a website. Likewise, Google is knocking the fact that the website having the lack of EAT should be rated as the low-quality website while being rated by the quality raters. And by adding a bit more into says that the website which has even the bit lack of EAT has a reason to be rated as a low-quality website by the quality raters. Considering the existing reports of Google’s rating guidelines, what webmaster need to focus on is to pass the newly cooked EAT test. For SEOs- What makes an expert? After this report, it’s now turned significant for SEOs to appoint content writers who’ve expertise in your field. Of course, only then, they would be able to frame right information through articles, blogs etc. Not to mention but the way Google is clearly emphasizing on the role of authority and expertise in websites it’s a worth considering experience. Knowledge graph is also the worth considering portion of guidelines. Google now has a team of raters who spare bit of their time to just inspect the knowledge graphs alone. As compared to the previous version that would only talk about Title Link Result Blocks (TLRB) and No Title Link Result Blocks (NTRB) the latest update distinguishes two different genres of knowledge graph TLRB (responsive for clickable headline at the top of the area) and NTRB are rather impressive. There are many other different points and suggestions that have been discussed in that blog are still being awaited by the SEO. Suggest your queries and advice by dropping a comment below.